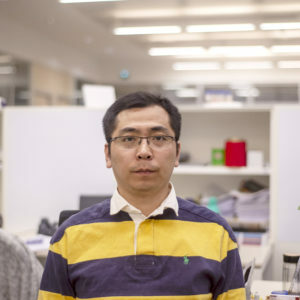 Zhixin Tai is a research fellow in the Department of Quantum and Energy Materials at INL. His research is focused on the few-layered 2D materials for the energy storage. Zhixin Tai has dual PhDs in Physical Chemistry in Lanzhou Institute of Chemical Physics, Chinese Academy of Science, China and University of Wollongong, Australia, respectively. Before joining INL, Zhixin Tai was a post-doc fellow at ISEM/AIIM Facility, University of Wollongong in Australia, where he studied advanced electrode materials for alkali metal ions batteries using in situ methods, including lithium, sodium and potassium ions batteries. Journal of Power Sources, 2012,199, 373–378.